Our Kinect has been dusted off and the living room furniture has been moved around. 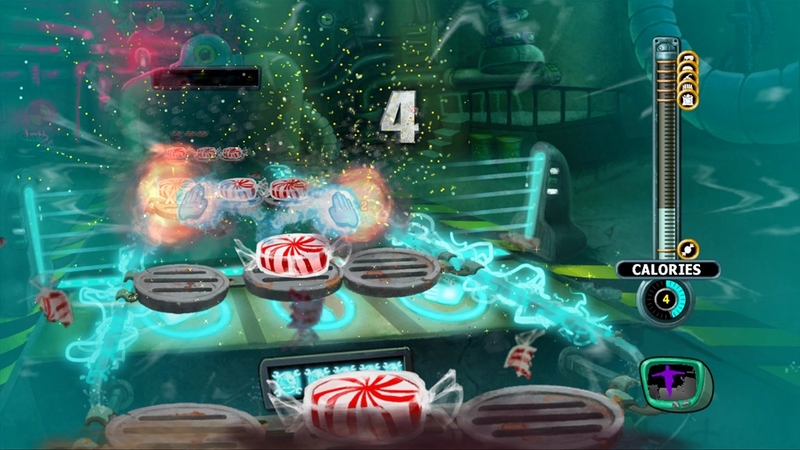 This can only mean one thing – a new free game has been added to Kinect Fun Labs. The catalogue of gadgets on Kinect Fun Labs is quite large now, but most aren’t worth your time other than to unlock the incredibly easy achievements that they contain. This makes Junk Fu the rarest of things – it’s worthy of your time, energy and hard drive space. Junk objects, including broken CRT monitors and goldfish bowls still with fish bones inside, move down a conveyor belt and it’s your job to chop and kick them before they fall off the end. The amount of calories you’ve burnt off while doing so is shown on the right of the screen. Once a milestone has been hit a bonus round occurs and the conveyor belt becomes filled with supersized junk food, ready to be swiped to bits. 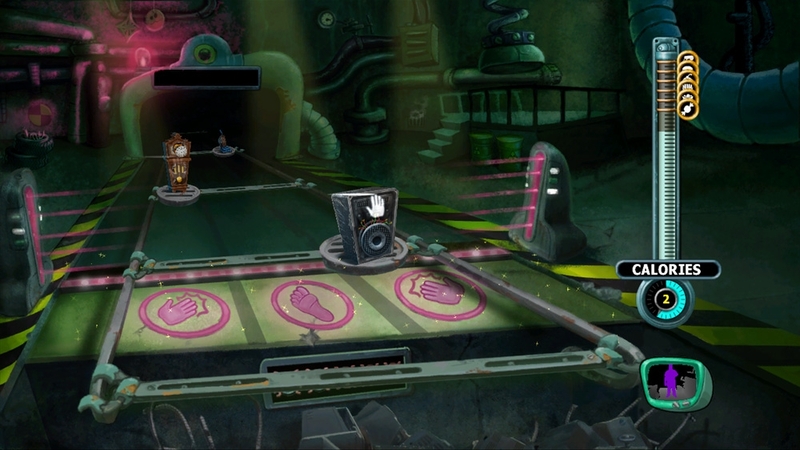 As the game progresses the conveyor turns quicker and the music – which plays on a ten second or so loop – also becomes faster. Now here’s the thing that makes Junk Fu not quite as easy as it sounds – some items have to be chopped diagonally while others horizontally. This not only stops it from being a simple case of waving your arms around aimlessly, but also turns it into a memory test as you only have a few seconds to observe the direction an item needs to be chopped. Fellow freebie Battle Stuff – which turns household objects into fighting machines, and uses a ‘rock, paper, scissors’ battle system – is a better use of the Kinect technology, and this won’t get you in shape like some of the fitness packages promise to, but we can’t imagine anybody not getting a little bit of fun out of this one. It’s not free in uk it’s 240 msp. Seems it was free for the first week of release. Battle Stuff is still free though. Odd.